Clement and Megan met at Missouri State University and dated for seven years before getting married at First & Calvary Presbyterian Church. 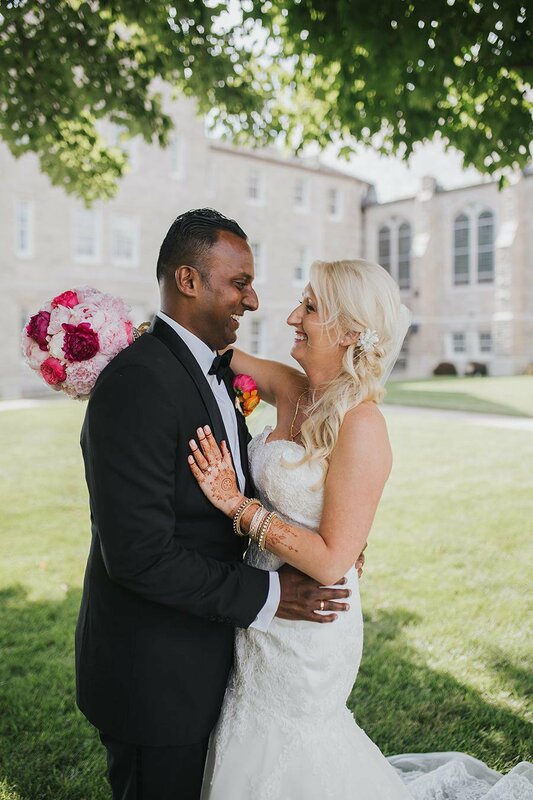 It only took one look for Megan Cope to know she wanted to meet Clement Balasundaram. Megan was a graduate assistant at Missouri State University and got her first glimpse of Clement while peeking over the shoulder of a mutual friend who was talking with Clement on Facebook. “I mentioned how he was really cute,” Megan says, laughing. Her friend invited Clement to their office that same day, and the rest, as they say, is history. For their first date, Megan and Clement spent six hours at Ziggie’s Cafe connecting over a shared love of travel and adventure. 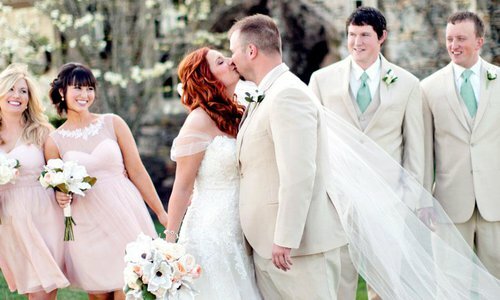 Seven years later, the couple was embarking on a new adventure as they prepared to start a life together. Megan is from Rolla, and Clement is from Bangalore, India. 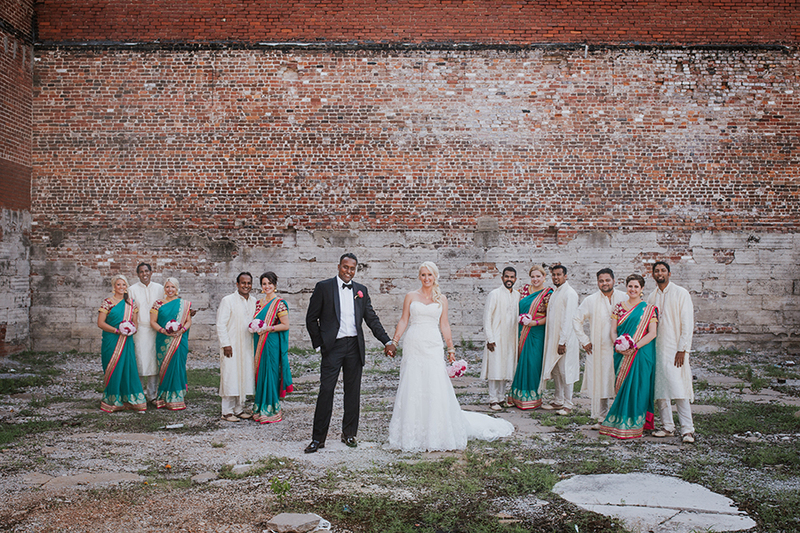 During their seven-year courtship, Megan fell in love with Indian culture, so when the couple began planning their wedding, she knew she wanted to celebrate their different cultures and heritages. “I knew right off the bat I wanted to incorporate a bunch of color and vibrancy, which is part of what India is all about,” she says. 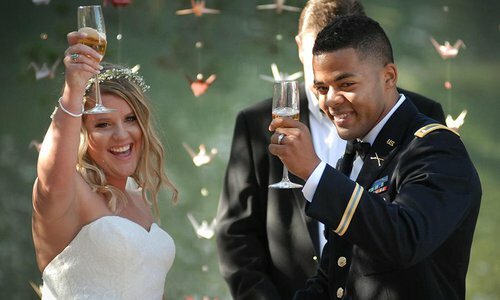 After studying other intercultural weddings for ideas, Megan set to work adding small touches of Clement’s cultural background into their otherwise Christian ceremony. She ordered colorful saris from India for the wedding party to wear. She even found scroll invitations and beautifully intricate umbrellas from India that she hung from the ceiling at the reception. As a final touch, one of the couple’s friends built a wooden pergola resembling the traditional mandap used in Indian weddings and set it up at the reception. Their sense of adventure didn’t stop at their wedding. 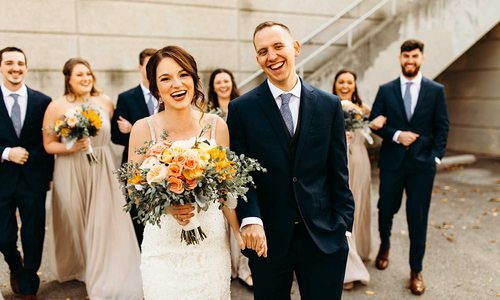 Since getting married, Megan and Clement have traveled to Hawaii and Mexico and made the long but sight-studded drive from Springfield to San Diego and throughout the Southwest. Amazingly, a friend of Clement and Megan built a pergola for the couple’s reception and constructed it so that it would be easy to take down and reconstruct for later use. 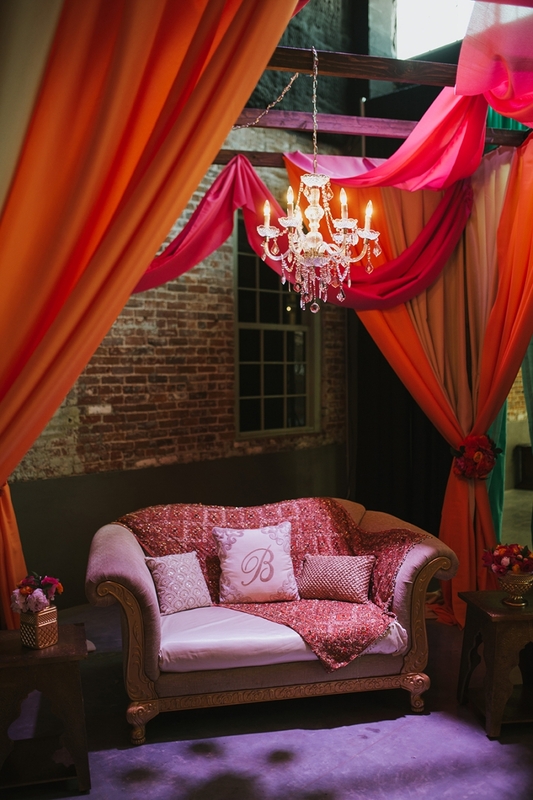 Megan used the pergola as a beautiful seating area and draped the wooden structure with yards of colorful fabric. 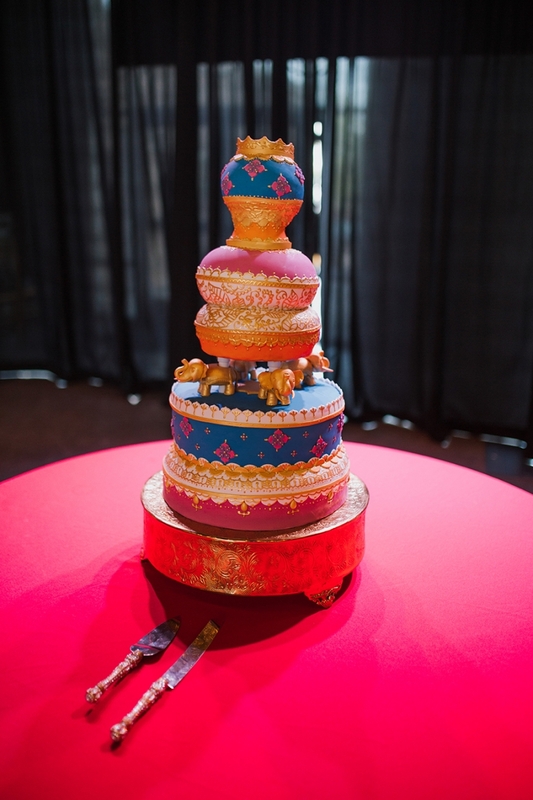 Megan has always loved elephants, which tied in perfectly with the couple’s Indian-inspired wedding. 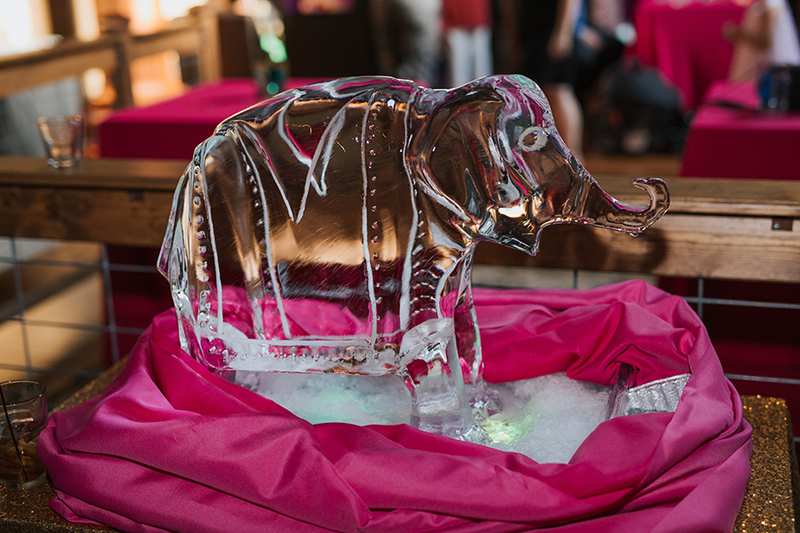 This elephant ice sculpture was made by Hy-Vee. After falling in love with Indian culture thanks to Clement, who is from Bangalore, Megan added henna to her bridal look. 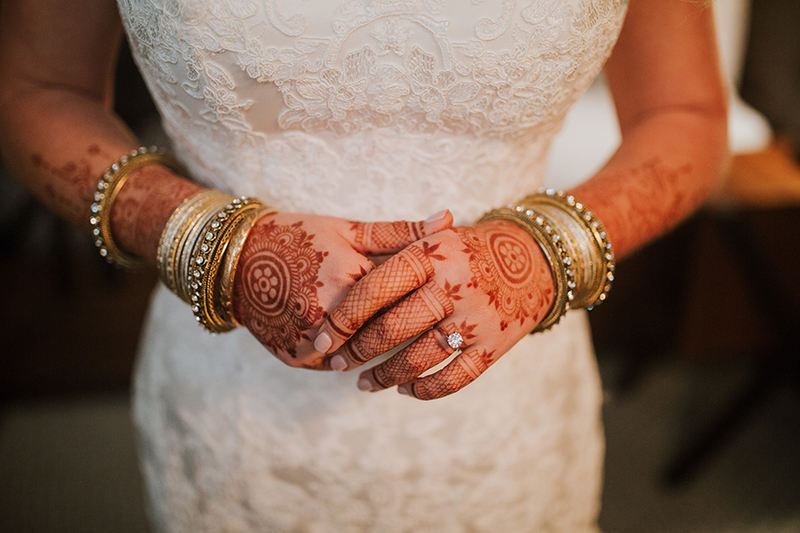 To accomplish the intricate look she wanted, Megan traveled to a henna artist in Chicago. 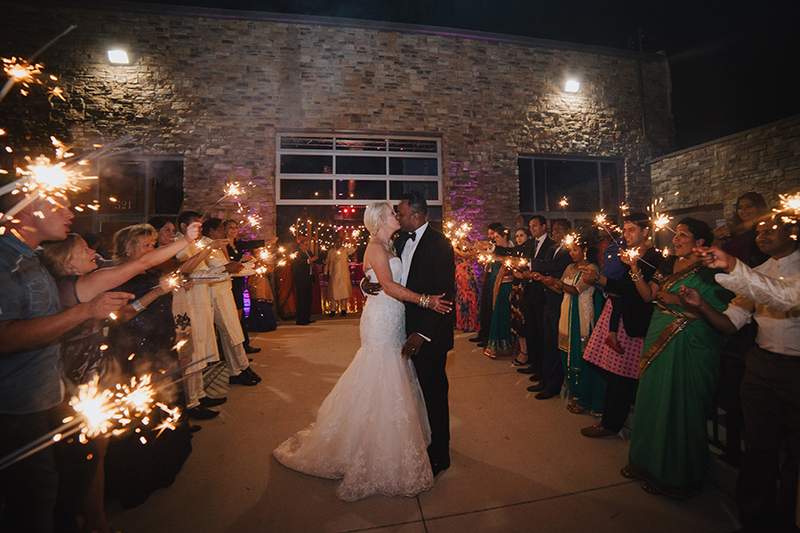 Even though Megan and Clement’s wedding ceremony was Christian, the couple highlighted Clement’s Indian heritage by dressing the wedding party in traditional Indian saris and kurtas. 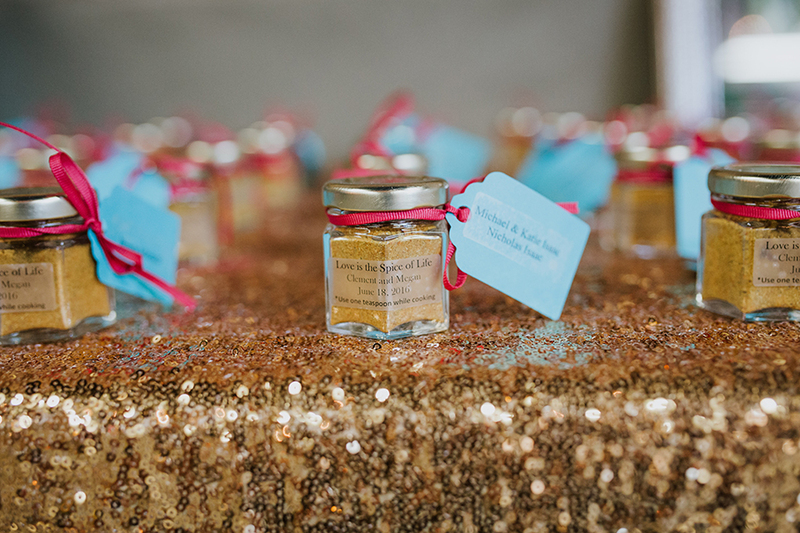 Clement loves to cook, so as a thank you gift to their guests, Megan and Clement hand-filled 160 little bottles with what they call the Spice of Life—garam masala. 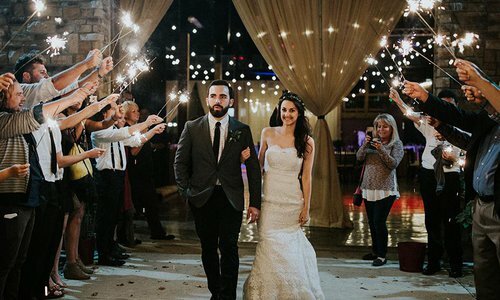 To accommodate their large guest list, Megan and Clement held the reception at The Old Glass Place in downtown Springfield, and as a proper send-off, the couple’s friends and family said goodnight with the help of sparklers. 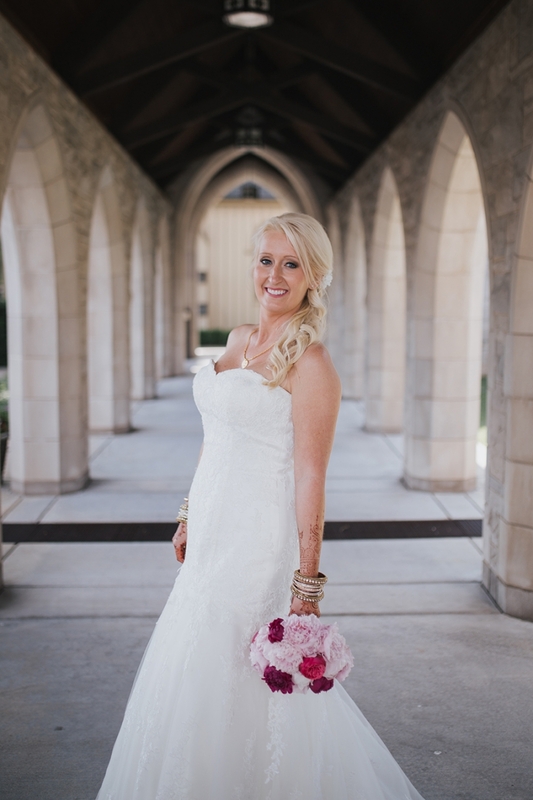 Megan found her dream wedding dress with its sweetheart neckline and classic lace overlay at Normans Bridal in Springfield. Long distance was no barrier for this Army couple now braving the Alaska chill.